It has probably been five years since I’ve used box cake mixes with any sort of regularity. Back in the day, I would bake one up in a 9×13-inch pan and then proceed to slather a can of chocolate frosting over the top. I think I’ve made some serious kitchen strides since those days, but leave it to all of those popular “cake batter” recipes to keep me tethered to cake mixes. Between cake batter ice cream, fudge, pancakes, and the zillion other recipe variations, not to mention all of the dump cake recipes that I keep seeing, I can’t seem to escape cake mixes. 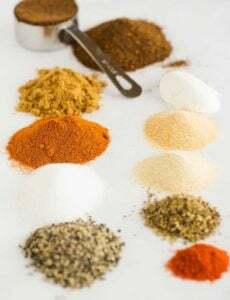 I haven’t made many of those recipes, mostly because I have really made a conscious effort over the last couple of years to eliminate a large majority of overly processed products from my kitchen. Anything that I can make homemade, I do. That includes cake, of course, but what about all of those recipes that call for cake mix, straight from the box? I was left in a quandary, until I happened upon this recipe. Leave it to the people at America’s Test Kitchens to come up with the answer. This quick, homemade mix is the perfect solution! 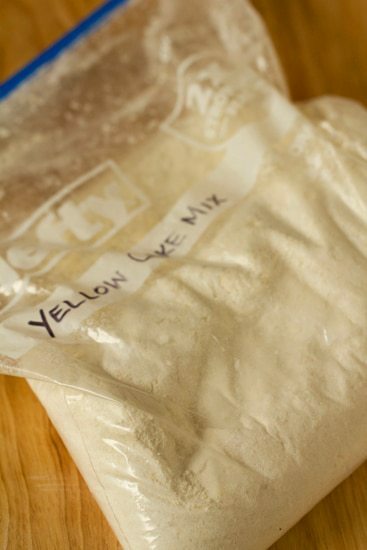 This mix takes literally minutes to throw together, and you can keep it in a zip-top bag in your freezer for up to 2 months. I am totally thrilled at the idea of never having to skip past a recipe because it calls for cake mix. My plan is to use this mixture anytime a recipe calls for dry cake mix. 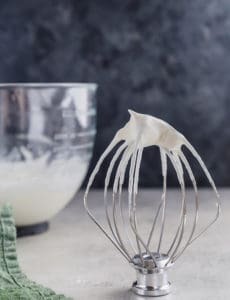 If you’re interested in using the mix to bake a cake, be sure to check out the link in the note below for instructions. Look out cake batter recipes, here I come! 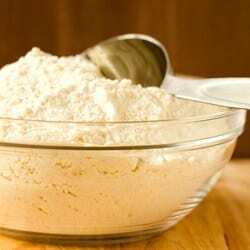 In the bowl of a food processor, combine the sugar, both flours, milk powder, baking powder and salt. Process for 15 seconds. Add the pieces of butter and lightly toss with a fork so they are coated with the flour mixture. Sprinkle the vanilla over the top. Pulse until the mixture is fine and crumbly, about 10 one-second pulses. Use immediately or store in an airtight bag or container in the freezer for up to 2 months. Note: For instructions on how to make an actual cake with this mix, please visit Mel's Kitchen Cafe. Oh my gosh! Brilliant! I have my mom’s pistachio cake recipe that calls for a box cake mix and while it pains me to do so….I use one. This is so much better! I’d like to use this recipe for a “dump cake” and have everything but the dry milk powder. 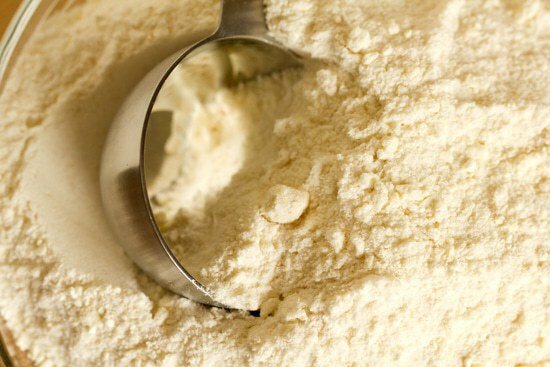 Is the dry milk powder absolutely necessary for the mix? Hi Mindy, Yes, the dry milk powder is necessary here. Can it be substituted with dry buttermilk? Hi Holly, I never tried it, but I think it should work. I’m making cupcakes and the recipe calls for one 18.25 box of golden butter cake mix. To that I add 1/2 c. butter, 4 eggs, 2/3 c. water. My first question, do I use the entire amount that this recipe makes to equal my 18.25 boxed cake mix, or do I weigh out 18.25 ounces? My next question, with me adding and additional 1/2 c. butter as called for in the recipe, and with the 1 cup butter already in the “cake mix” will that be too much butter? Hi Rhonda, You should weigh it out. As for the additional butter, I’ve never made a cake mix with added butter, so I couldn’t say, unfortunately. I would try True Lemon. It is crystallized lemon. 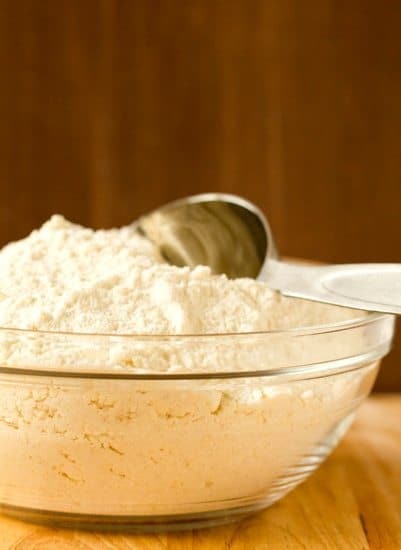 I discovered it when trying to make a heavenly lemon bar recipe that was from ages ago and called for a package of powdered lemon frosting mix. If you are unable to find True Lemon in a store near you, try Amazon.com. I did not buy the packets. I have a bottle of the granules. Good luck. What about chocolate or fudge box cake? Christy, I know this is over a year old, but I just came across this site today. I just wanted to say “Hi!” from Porter, TX!!! :D BTW, did you try this recipe? How did it turn out? 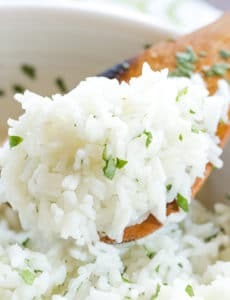 I wish I had found this recipe earlier today! I was trying to make from scratch a cobbler that my mom makes from canned pie filling and box cake mix as topping. I used your peach cobbler filling with a topping other than the biscuit one…the flavor turned out good but the texture wasn’t quite what I had wanted. Next time I’ll use this and I’m sure result will match the more processed recipe.